With textile uppers, the Budding Beauty court shoe has an embroidered floral upper featuring translucent material with a glitter encrusted heel and a posey of rose bud embellishments. The Irregular Choice branding is embroidered in gold on a shimmering insole. A shapely 9.5cm high heel covered in black, blue and green glitter completes this fabulous court shoe perfectly. Even the sole of the shoe is beautifully decorated their brand new eclectic floral and spotty print. 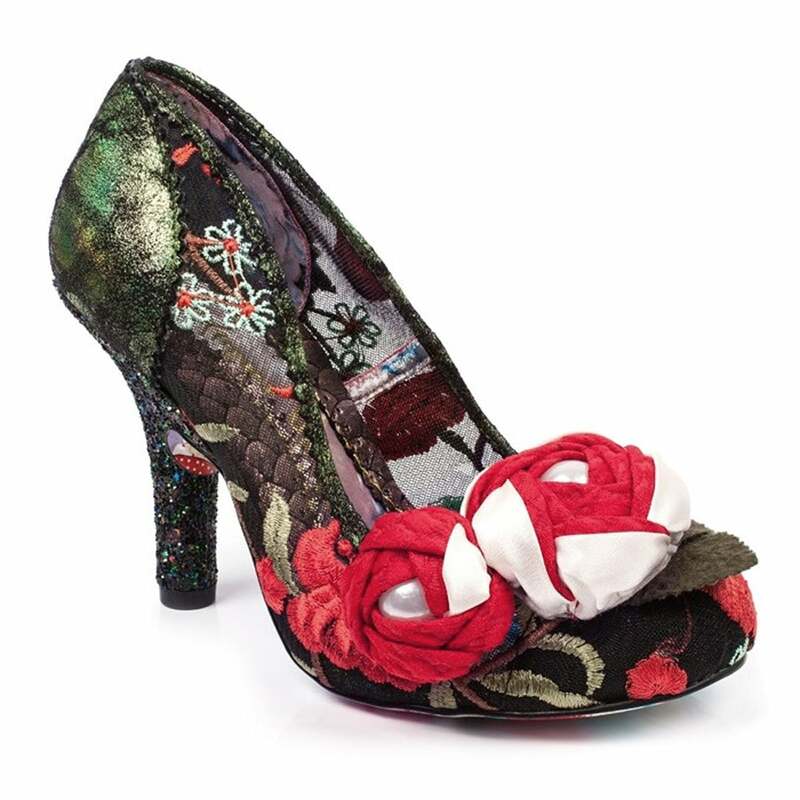 Look fantastic at night time and in the office with this stunning and versatile womens court shoe - choose Irregular Choice's Budding Beauty 4331-20C now!